Polish-Ukrainian Cooperation Foundation PAUCI in partnership with Vinnitsa Regional Council conducted two trainings on Performance (Program) budgeting as a tool for good governance and financial transparency in the city of Vinnitsa on 15-16 May, 2014. More than 40 representatives of Vinnitsa region local government’s financial departments attended first training. Local officials have obtained knowledge about Performance (Program) budgeting as well as gained practical skills of developing indicators of budget programs implementation. Invited polish expert presented the experience of Performance (Program) budgeting as a tool for implementing strategic and operational objectives in Krakow City. The second training "Performance (Program) budgeting and public participation in the budget process" were attended by 23 public activists who had the opportunity to learn about the basic principles of public finance reform in Ukraine and discuss the possibilities of NGOs to influence the transparency of budget process. 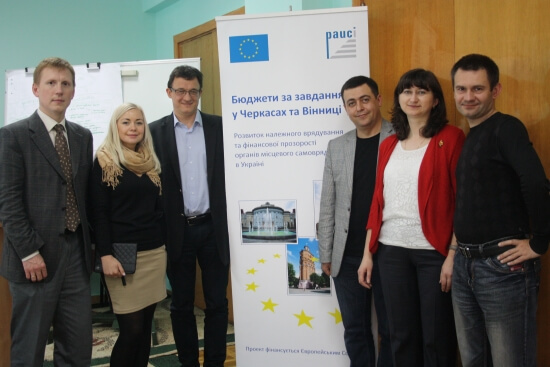 The trainings were conducted in the framework of Polish-Ukrainian Cooperation Foundation PAUCI Project "Performance budgets in Cherkasy and Vinnitsa - support for good governance and financial transparency of local governments in Ukraine" funded by the European Union and the Central European Initiative.